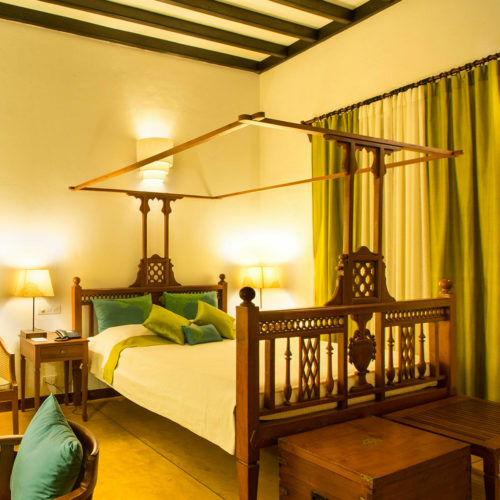 Opened to guests in January 2010, thie Maison Perumal is a blend of the best of French and Indian styles. 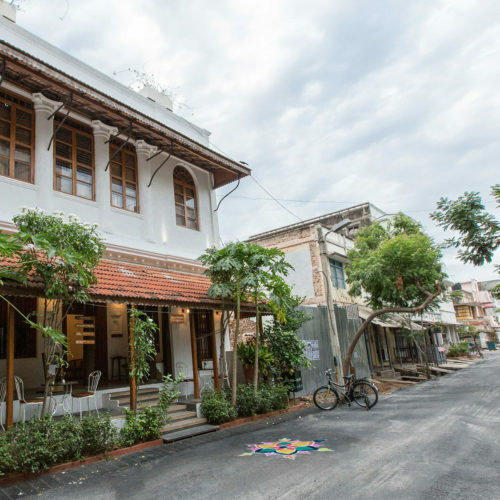 Traditional Tamil style varam (street verandah) and the thinnai (veranda around the house) combine with the fluted pilaster and arched windows give it a French charm. With just 10 rooms, the hotel has a very cozy feel and the resort staff manage the place like a home. 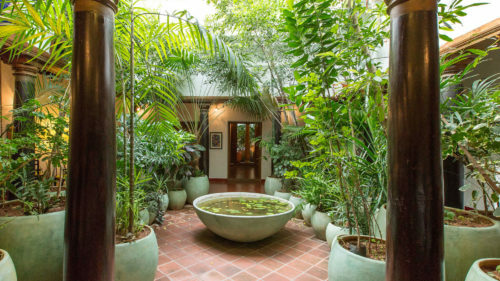 Maison Perumal serves Creaole cuisine and seafood, which is the typical amalgamation of French and Tamil flavors.